Acer monitors using white LED backlight technology minimize environmental impact while offering superior performance and durability. White LED monitors do not contain the toxic substance mercury, making them safer for the environment. They also consume less power and are more durable than monitors with CCFL lamps, resulting in big savings. The 144Hz refresh rate speeds up the frames per second to deliver an ultra-smooth 2D motion scenes. 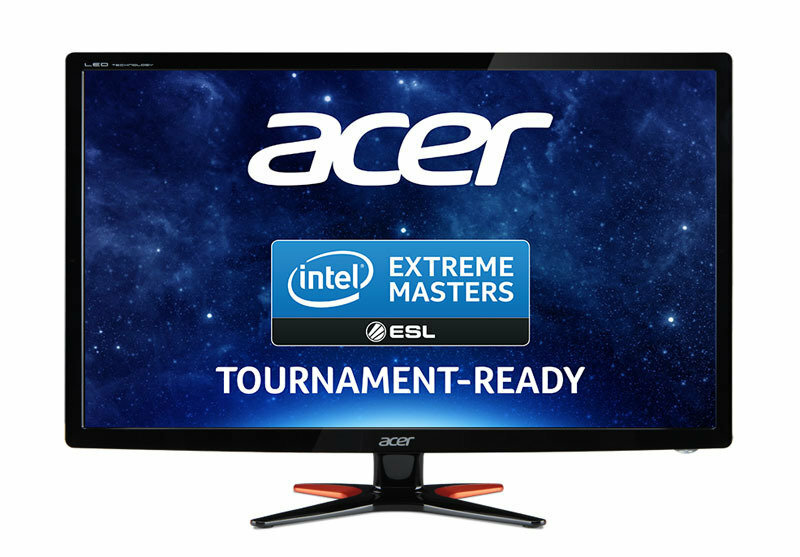 With a rapid refresh rate of 144Hz, Acer Gaming Monitors shorten the time it takes for frame rendering, lower input lag and provide gamers an excellent in-game response time. NVIDIA® 3D LIGHTBOOST™ and NVIDIA® 3D Vision™ 2 glasses provide immersive 3D imagery that's twice as bright as other solutions. With advanced active shutter 3D technology, the Acer 3D experience is ideal for home entertainment, and multiple pairs of glasses can be used simultaneously for shared enjoyment. Compatible with Windows 7 "Compatible with Windows 7" software and devices carry Microsoftâs assurance that these products have passed tests for compatibility and reliability with 32-bit and 64-bit Windows 7.